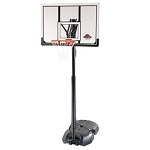 The Lifetime 1270 Portable Basketball Goal System is both a fun and economic choice for any family. 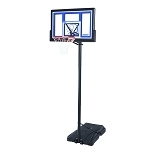 This portable basketball system comes with a 42" Acrylic Fusion Backboard with UV protected graphics to prevent yellowing and fading. A telescoping pole with adjustable height makes it a great choice for the whole family, and being that it is portable, you can move it to any desired location and you do not have to pour cement or wait for it to dry. 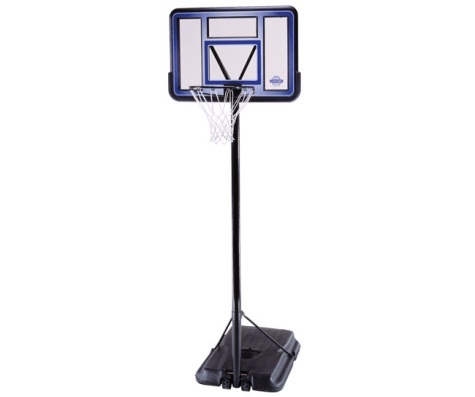 All you have to do is fill the base with sand or water and you are ready to shoot some hoops. 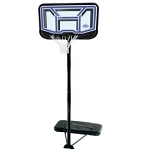 Lifetime Products warranties this portable basketball hoop for 5 years for customers in the United States and Canada. All metal components of this system are powder coated to help resist rusting, making this goal great for outdoor use. This system is great for both younger and older players. 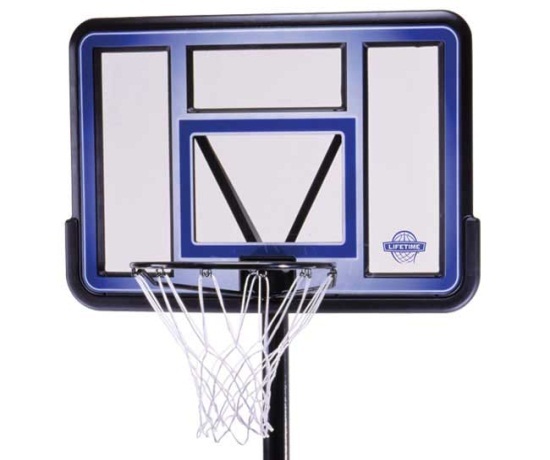 Dimensions: 42 inches W x about 30 inches H.
Backboard frame: high-density polyethylene plastic. Backboard thickness: 2.25 mm (0.09 inches). 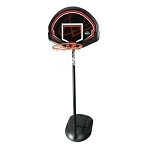 Black Classic rim, regulation a 18 inch diameter. Rim uses a static mount. Uses a telescoping pole mechanism to raise and lower the rim height. Pole size: 2.75 inch round. The telescoping pole is activated a sit screw with a knob for easy turning. The screw is removed or loosened and the pole will then slide up and down in 6 inch increments. Portable base footprint: 30 inches W x 43.25 inches D.
Approximate weight of the base when filled with water: 216 lbs. Shipping dimensions: 44.5 inches x 34.5 inches x 7.75 inches. Great service. Fast shipping. Wonderful to do business with. Thanks! Fast delivery, somewhat easy assembly, my entire family loves it. Great product for the money. Free shipping sealed the deal for me. Other online retailers wanted as much as $100 to ship my product, which is ridiculous. My product was received more quickly than I expected and met all expectations. I highly recommend Competitive Edge Products. 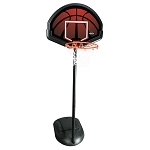 Q: I bought a basketball goal #1270 a while ago, finally got to assemble and I am missing parts. A bag with the first long carriage bolt for the pole, and the seven inch bar large to axle. Also the caps for the plastic base once you put water or sand. All part of one parts bag possibly? Also the wing nut and bolt to adjust pole up and down. Can I get replacements? A: You can obtain any parts missing or replacement by calling the 800 number on the owners manual 800-225-3865. I apologize for any inconvenience this may have caused. Q: what is the size of bolts,nuts etc. does it take? they were lost in move. A: For those you will need to call 1-800-225-3865. A: That depends entirely on how much weight you think you will need to hold up to how the system will be used. As noted on the product, when filled with water, the base weighs about 216 lbs. When filling the base with sand, the base typically weighs about 1.5 times the weight of the base filled with water, depending on the density of the sand you use. 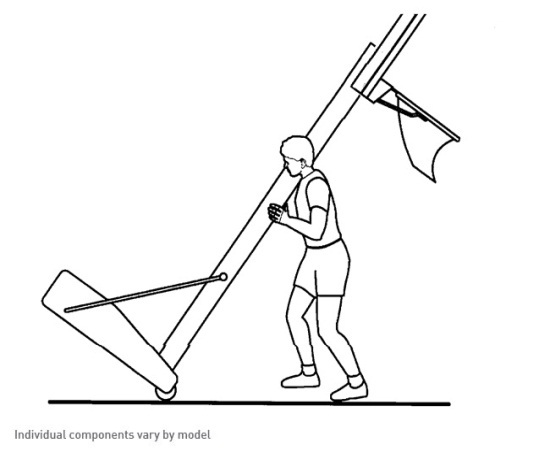 Note that the heavier the base, the sturdier the system; but, the system will also be more difficult to move. Q: What should I do if the product arrives damaged? 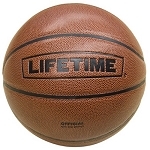 A: These basketball systems ship brand new, directly from Lifetime Products. If the basketball system arrives in any other condition than brand new, the package was damaged in transit. If at all possible, refuse the delivery from FedEx. If refusal is not possible, take a couple of pictures of the system and give us a call. We will get the damage reported to Lifetime - who does all of the claim work with FedEx - and have them expedite a reshipment of the product as soon as possible. Please note that in most cases, the packaging will get beat up a bit in transit, while the contents remain unharmed. If you are not sure if anything was damaged inside, carefully open the box and scan for anything noticeable before unpacking the rest of the system. 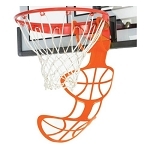 A: Both backboard materials are very common in this price range for basketball systems. Acrylic is said to be a more rigid material than polycarbonate, while polycarbonate is said to be stronger than acrylic in the long run. In most any situation, you will not notice a difference between these two backboard materials. 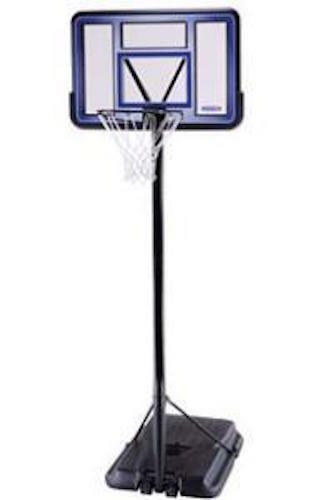 Q: What age group is this basketball hoop made for? A: Due to the height adjust ability of the rim, young players can use this system to start to develop their arm strength and shooting form. 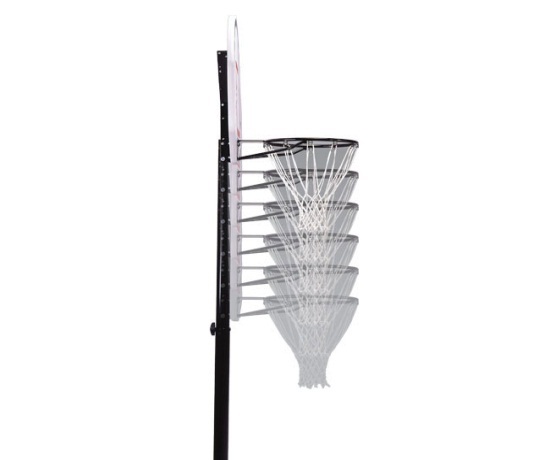 That said, the rim is height adjustable up to regulation height; so, even older players can practice shooting on at a regular height. Fast Shipping: Orders for the Lifetime 1270 generally leave the warehouse within 1-2 business days. Dimensions: 45" x 8" x 35"